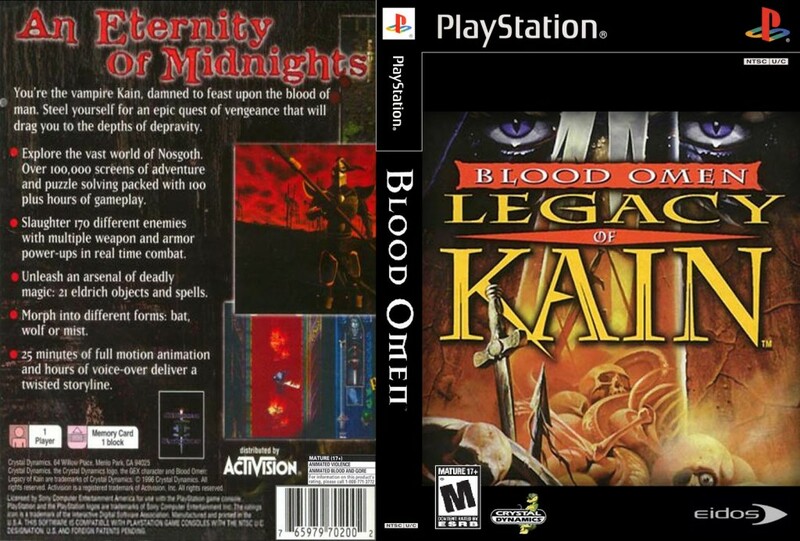 Blood Omen is the first game in the Legacy of Kain series. 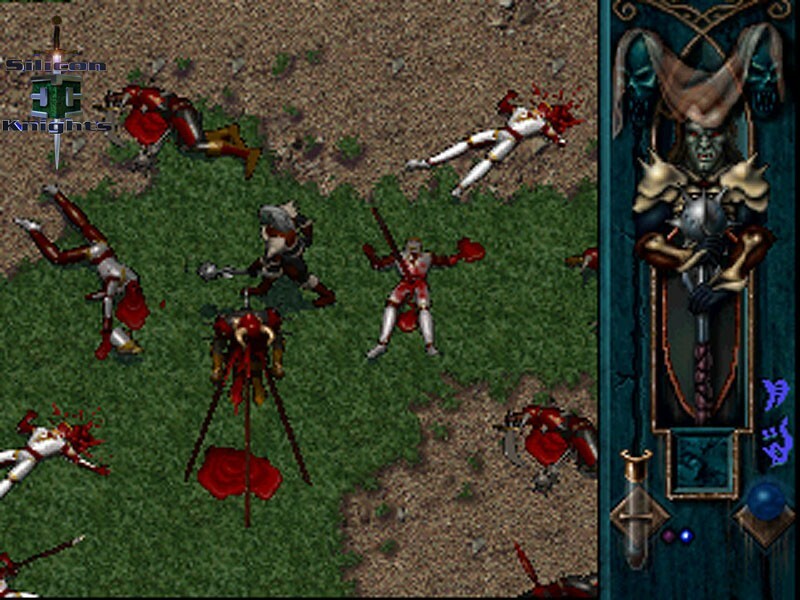 As the name would suggest the story is centered on Kain, a noble who is murdered in the first few moments of the game, but he is given a chance for revenge by a Necromancer who brings him back to life or un-life as a vampire. What really makes this game stand out is the quality of the voice acting, casting trained thespians as the characters was a stroke of brilliance and this is the best part of the game. The way they use voice as makes you really invested in the story and gives you that push to keep you playing. 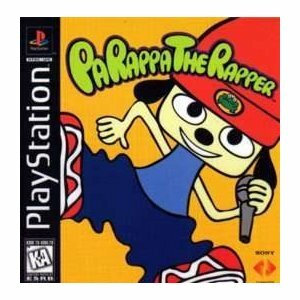 Voice acting in games today could still learn a thing or two from this PSone classic, and at original release this feature was unheard of. 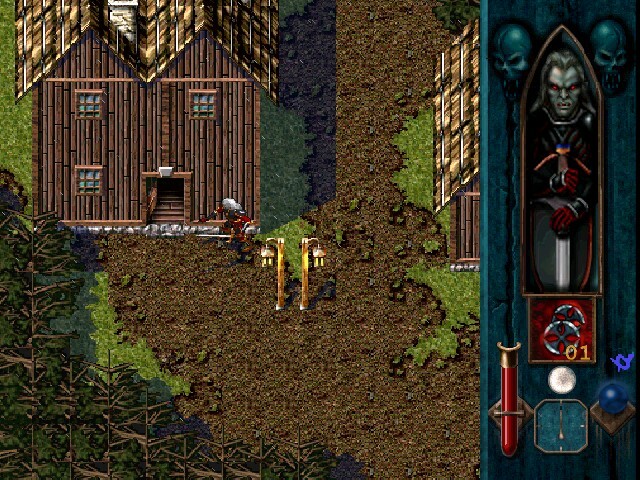 Blood Omen plays just as you’d think Diablo would with a directional pad. The controls are easy to get used to and rarely were there any issues with control except for a few jumping sections that can sometimes be confusing. As you progress through the game you gain new abilities, spells and equipment, that range from raising your health and magic bars to learning how to become a werewolf and tear your enemies apart. Health as you would imagine is gained from drinking the blood of your enemies, if you hit them the right number of times they’ll hold this very Mortal Kombat “finish me” pose where you can feed. 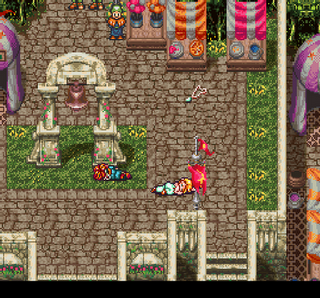 Also while traveling to villages you can feed on the locals before heading off to defeat one of the games many interesting bosses. The difficulty isn’t too bad, but you’ll have to watch your resources carefully at some points, the learning curve is good, but you really get into the gameplay when you start receiving new abilities and equipment. All of which add some strategy to the game and make it that much richer. 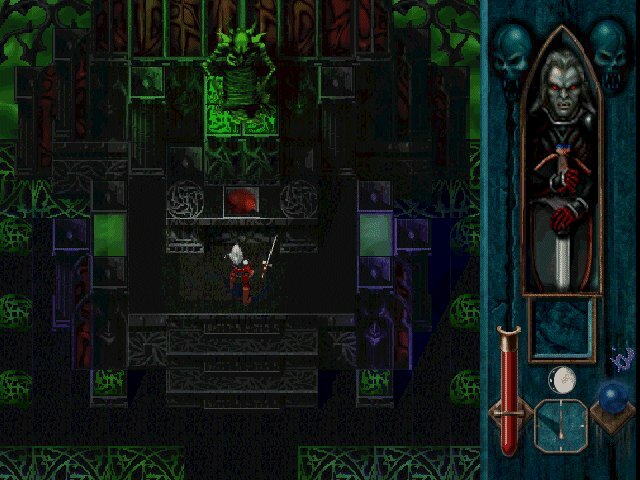 Although Blood Omen is a dated game, the 2d graphical style suit it well and the art direction in the game still make it immersive. Also some graphical decisions that were made (like having blood you drink from enemies spurt through the air into your mouth) make is still a gruesome game which was certainly surprising for a game of this generation. Graphically there is nothing spectacular but the attention to detail doesn’t make graphics a hindrance to the story. 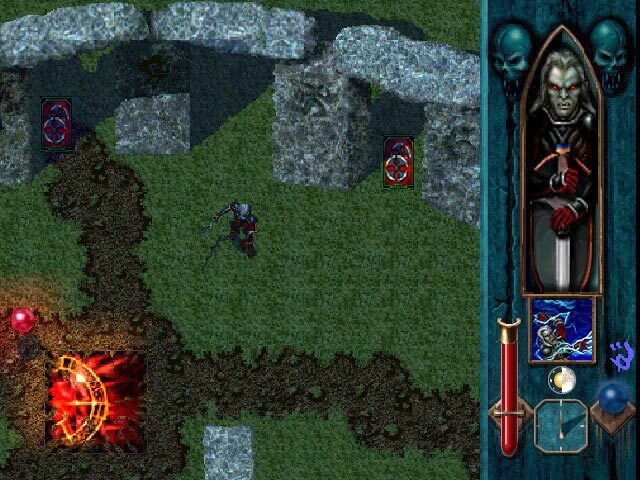 Blood Omen Legacy of Kain certainly makes an impression on the first time player. This comes from the excellent voice work and gripping story that is so rare in games even today. The amount of time it takes to run through this game is also impressive. It took 35+ hours to complete and I was glued to my console for the duration. Graphically you’ll not be impressed but there are a few nice touches you’ll notice that Silicon Knights threw in that will keep it from being a problem. For the standard PSone classics fee of six dollars and with story elements and gameplay that keep you interested for 35+ hours, this gives you a great bang for your buck. I enjoyed every moment of it. Highly recommended (if you have the time), and if you liked this one check out it’s sequel Soul Reavertoo. 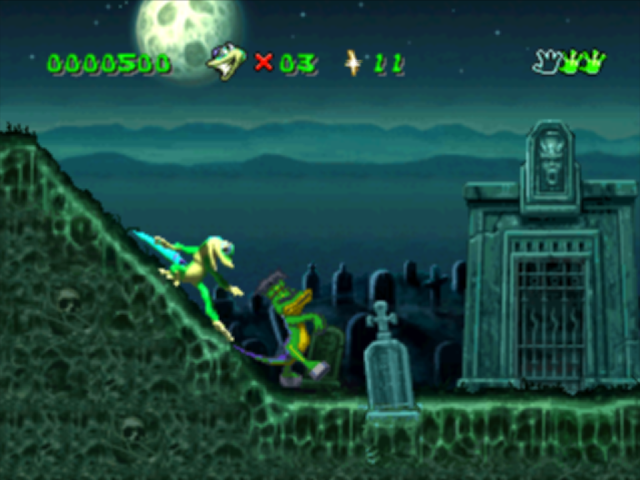 My name is Brennan Martin, and I run PSOne Classics. I have a Honors Degree in Russian Language and culture from the University Of Ottawa in Ontario Canada. I spent most of my free time competing and training athletics and have represented Canada abroad, as well as compete in numerous Canadian Championships. At the moment I’m living half time in Ottawa, Canada, and half time in Auxerre, France where I have a seasonal athletic job. I have lived in Canada, the United States, Russia, and France, but I’m a Canadian through and through. Travelling is a passion of mine, and I try to always find interesting and exciting places to visit. Being a language student I speak English, French, Russian, Spanish, and some Mandarin. At the moment I’m learning Korean as well (if I’m a gamer I should really learn Japanese too…). I’m always trying to learn more (when I’m not gaming), as everybody should have a passion!